How Many Bundles Do You Need For A Full Head Weave? “How many bundles of hair do I need for a full head weave?” This is one of the most frequently questions we get asked for our human hair extensions on dsoarhair.com. For this question, it usually is answered according to a few factors to choose how many bundles of weaves. We definitely want our hair looks natural and gorgeous, so we hope the hair can be perfect when we are wearing it. From the length of the hair to the size of your head, these different elements play important roles on how the final hairstyles will look. So today, I would like to discuss the elements which affect Peruvian hair weave for a full head weave. 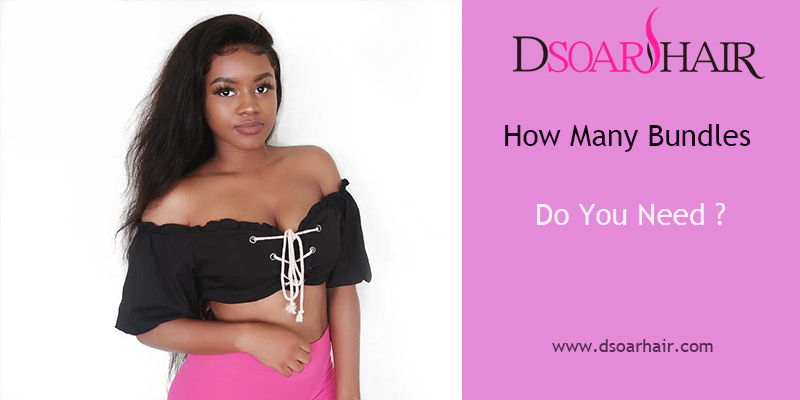 For Peruvian hair bundles in DSoar hair mall, all bundles have the same weight(100g/pcs), so the longer the length of your bundles, the more hair your generally going to need. If you want your hair have a thicker look, we suggest more bundles for a fuller look from root to top. Usually 3 bundles with closure or 4 bundles with lace closure are enough to make a full head weave, shorter length hair bundles are thicker than longer hair. From the feedback from the Peruvian virgin hair users, with 12” or less, 2 bundles can be more than sufficient. Because this length has plenty volume on the weft. Anything from 14”, it is better to use 2 to 3 bundles. The hair from 20” and up, you need 3 to 4 bundles of virgin human hair. There are several types of hair texture which are popular on the market, such as straight hair, wavy hair and curly hair etc. 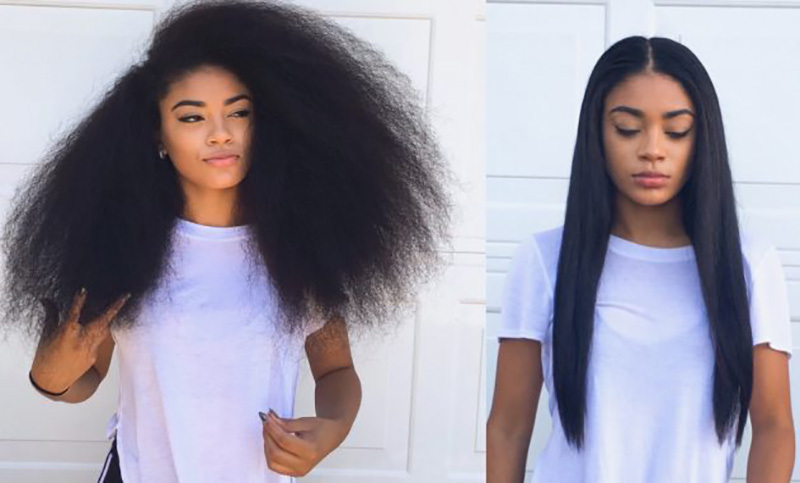 Which hair texture do you prefer? Straight hair and curly hair have different density with the same bundles, so it must be taken account when we decide how many bundles of weave we need. For Peruvian curly hair bundles, we usually need less bundles since the density of curly hair weave is naturally going to be fuller. We recommend 2-3 bundles for a natural full look. Although Peruvian straight hair is still full from root to top, you might need more bundles to make a full look. We recommend 3-4 bundles depending on the same length. Lace Closure Or Lace Frontal? If you decide to use a lace closure or a lace frontal to complete your look, you also need to consider the different size of the closure or frontal to be used. 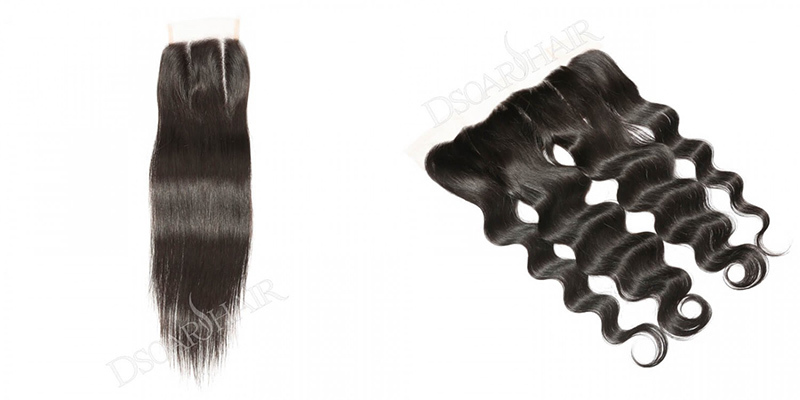 In DSoar hair store, there are 4x4 inch lace closure and 13x4 inch lace frontal,also called ear to ear lace frontal. Of cause we know, when we use 13x4 inch lace frontal with hair bundles, we need less hair bundles than we use 4x4 inch lace closure. Normally, it needs 2-3 bundles with a lace frontal and needs 3-4 bundles with a lace closure to make a full look. Besides Peruvian hair, there are other types of the hair in DSoar hair mall, such as Brazilian, Malaysian and Indian virgin remy hair. If that’s your preference, just go for it!